Fleas are not only a nuisance to humans and their pets, but can cause medical problems including flea allergy dermatitis, tapeworms, secondary skin irritations and, in extreme cases, anemia. They have a formidable reputation of claiming more victims than all the wars ever fought, as a result of the “bubonic” (Black Death) plague they spread throughout the world in the 14th century causing the deaths of over 200 million people. 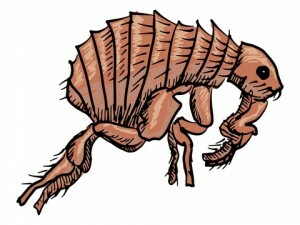 Fleas transmit bubonic plague from rodent to rodent and from rodent to humans. 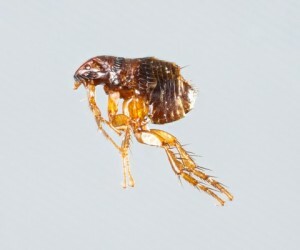 Oriental rat fleas can transmit murine typhus (endemic typhus) fever among rats and from rats to humans. Tapeworms normally infest dogs and cats but may appear in children if parts of infested fleas are accidentally consumed. 3. Flea control on the pet. As the outdoor areas frequented by pet(s) should be treated simultaneously with the indoors, an EXPEST EXTERMINATING pest control technician has the experience, training, equipment and most effective treatments for flea control. EXPEST offers a FREE inspection and evaluation.